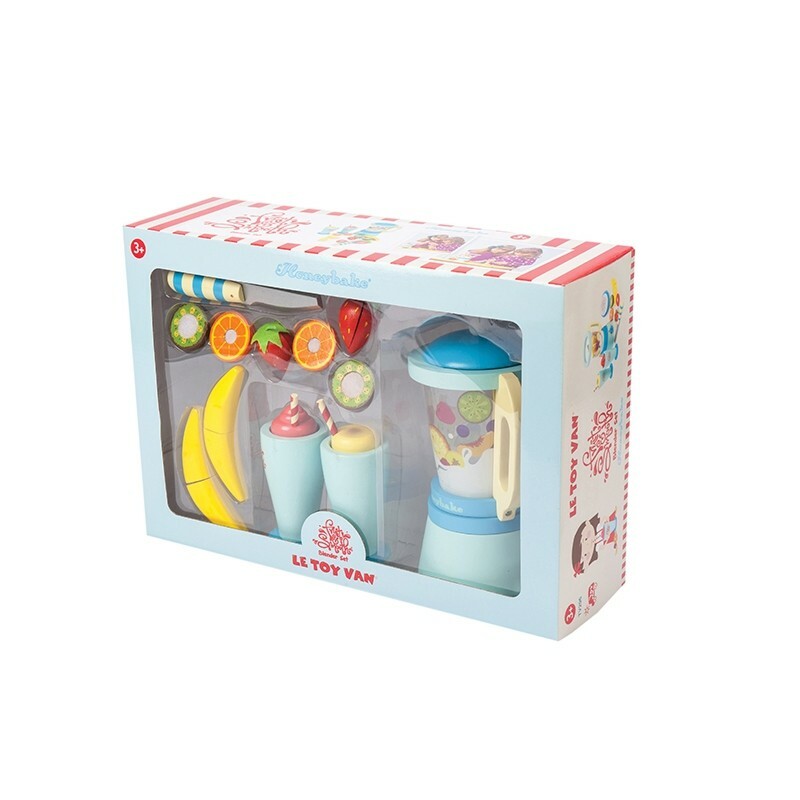 A comprehensive blender set complete with a detachable jug, 6v sliceable fruits, a play knife and 2 wooden tumblers with removable toppings. Chop, cut & count your way to a healthy lifestyle. 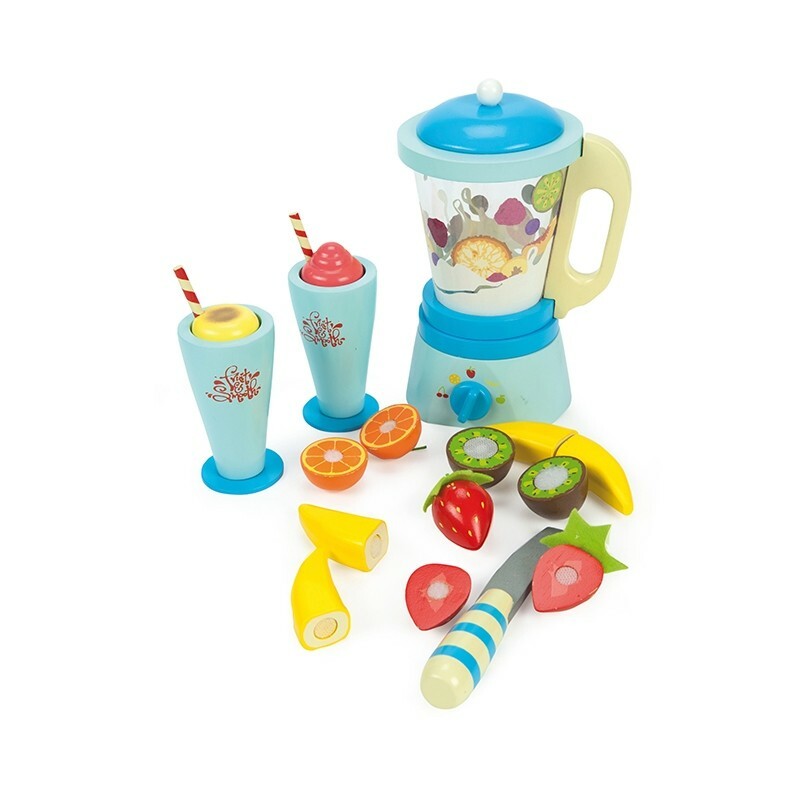 Ideal for children aged 3 to 5 years old.